There’s an affliction cast upon Southern households in the months of January ’til April and that’s not having fresh flowers to put in a centerpiece. Nothing really blooms in the South during these months so we are forced to find new, alternative methods of showcasing pretty buds. This European example has given us some new insight. 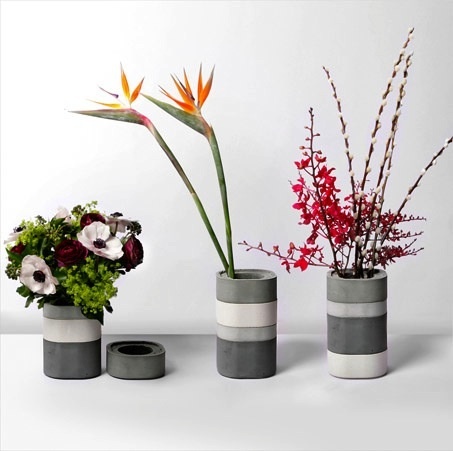 Unfortunately it doesn’t look like these vases are available in the U.S. yet but we’ll see how we can make our own arrangement using a soup can (labeled removed) and flowers from our farmers market. Check back on Pretty Southern next week for our take on this modern flower arrangement. Sure, those buds may not be grown South of the Mason Dixon line but we’ll find our own way to make do with what we have. After all, it’s what Southerners do.